When Edison Research released the first edition of Share of Ear last June, company President Larry Rosin told RAIN News that he planned future updates. Today’s data point is the first public bulletin from a survey update conducted in November. 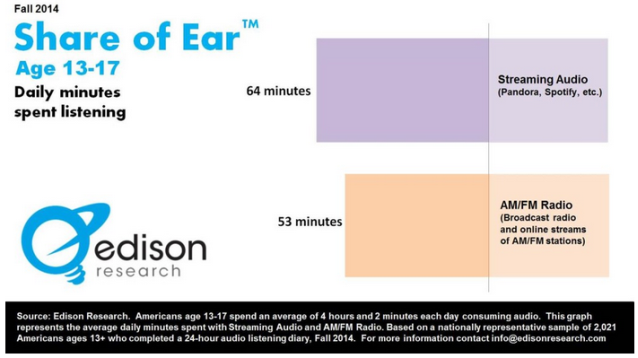 Survey respondents aged 13-17 reported listening to streaming audio for an average of 64 minutes each day, compared to 53 minutes for AM/FM radio. The age group represents so-called Digital Natives, who have never known a non-digital, non-connected lifestyle, and whose consumer choices might be predictive of future mainstream behavior. For Share of Ear, Edison surveys a representative sample of more than 2,000 Americans 13 years and older, using a 24-hour listening diary. 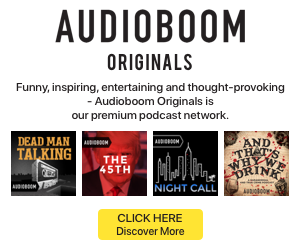 The product mission is to portray a total listening landscape that includes radio, streaming, owned music (CDs and downloaded files), SiriusXM, podcasts, TV music channels, and other sources documented by survey subjects.